According to the government a million ‘first licence’ applications are processed every year and with the new fees drop it will save new drivers £82.2 million over ten years. They also mention that over 77% of these applications are made by 17-24 year olds. Also every 10 years you need to renew your driving license the old price of this was £20 but now this has also been reduced to only £14 (£17 if applying through the post). 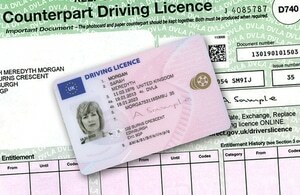 2.1 million photocard licences are renewed every year and the changes will save motorists £61.3 million over a decade. At a time when cuts are being made to public services this along with the recent theory test price reduction is good news for people looking to start to learn to drive and for drivers in general. More information about the changes can be found here on the gov.uk website and the current prices can be found here again on gov.uk. Cheaper driving licences are not the only good news, from the 1st January 2015 you will no longer need to have a counterpart for your driving licence and the DVLA will no longer provide these as part of the driving licence. To be able to check the current details of your driving licence not printed on the photo card you will be able to visit the gov.uk website using this link, there are also telephone and post options available. Personally I am a little disappointed as I only renewed my driving licence last year, hopefully the prices will not increase over the next 9 years!